Using technique to enhance aesthetics and nurture strong concepts born from unbridled creativity : this is the spirit that the Manufacture instils into each of its collections. Excalibur, EasyDiver, KingSquare and GoldenSquare all testify to perfectly mastered exuberance.These collections are instantly recognisable and share common identity codes. The over-sized cases with transparent backs, the imposing crowns, the stylised roman numerals, the three lugs attaching the strap to the case or the tourbillon carriage shaped like a celtic cross are all Roger Dubuis signatures. They are the marks of these fabulous mechanical objects, all ever-ready to defy the senses. 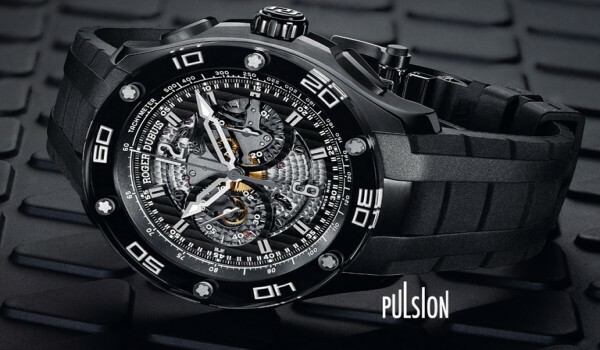 Roger Dubuis has been at the forefront of the contemporary Fine Watchmaking scene since 1995. Its audacious creations, firmly anchored in the 21st century, bear the mark of all the savoir- faire and expertise of the finest watchmaking mechanisms. Rich in conceptual creativity and mechanical detail, its watch collections are inspired by four different worlds: Player, Warrior, Venturer and Diva. 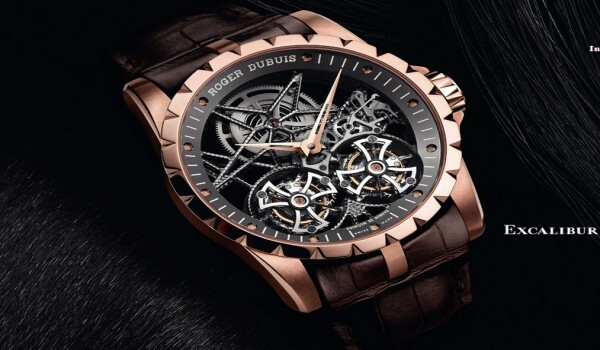 Roger Dubuis launches first of a unique series of 21st century timepieces based on a set of antique movement blanks. Manufacture Roger Dubuis embodies a longstanding commitment to safeguarding and restoring examples of the finest watchmaking traditions, while consistently renewing and re-energising this proud horological heritage. To mark its 20th anniversary, the only watchmaking Manufacture to be 100% Poinçon de Genève certified is re-launching a unique restoration project entirely dedicated to its Hommage collection: Millésime. As the name hints, it will mark each year with a special “vintage” in the shape of just one creation embodying a wealth of restoration work. These models will be available exclusively from Roger Dubuis boutiques and systematically related to boutique openings representing milestone events in the life of the Manufacture’s distribution network. Within this significant undertaking, a series of antique movement blanks will be restored using ancestral crafts and upgraded to meet 21st century Poinçon de Genève specifications as part of an exceptional series of limited editions. Each will incorporate a perpetual calendar, either alone or accompanied by one or more of the other three most sophisticated horological complications. When Mr Roger Dubuis describes his career, one cannot help but be fascinated by his deepfelt commitment, his love of horology in its authentic and traditional sense. 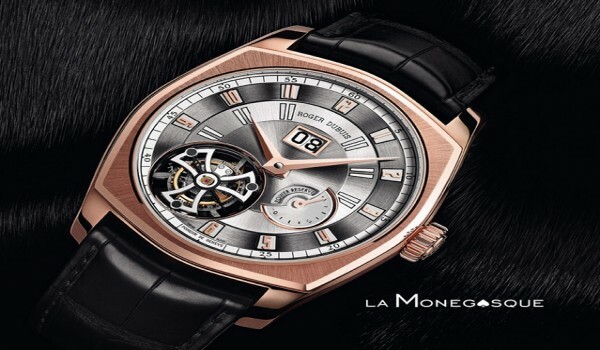 Whether in restoring complicated timepieces in the Galerie d’Horlogerie Ancienne (later renamed Antiquorum), devoting his considerable expertise to ébauches (movement blanks in the Grand Complication department of a great Genevabased Maison), or founding the Groupement Genevois des Cabinotiers, Mr Roger Dubuis has unceasingly dedicated himself to serving as the custodian of watchmaking professions. 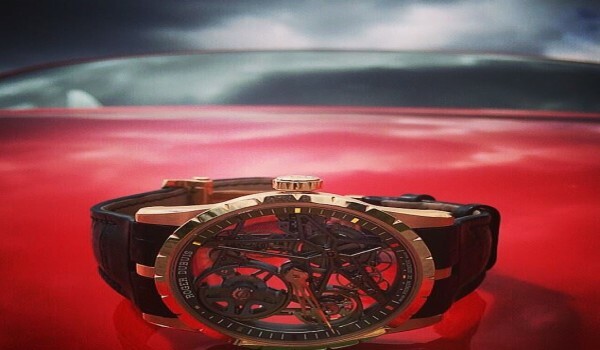 “My character has been forged through restoration”, explains Mr Roger Dubuis. “What could be more moving and uplifting than to walk in the footsteps of these watchmakers from another era? I have always felt immense admiration and profound respect for their work, their conscientious discipline and their superior intelligence. 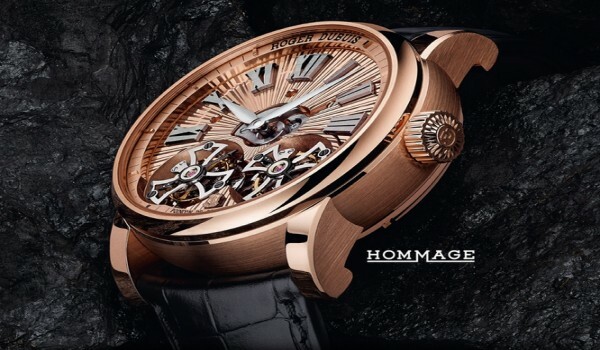 The overriding purpose has always been to ensure that all of us who are true devotees of fine mechanisms may continue to enjoy these masterpieces – whether new or historical creations – and to pass them on in our turn.” Origins of the Millésime concept This particular episode in the life and times of the Incredible World of Roger Dubuis began in 2001, just a few years after the company founding in 1995, when Mr Roger Dubuis purchased several ébauches with the intention of upgrading them to meet the stringent requirements of the Poinçon de Genève. The first unique restoration piece with an RD60 calibre sold for a million Swiss francs.The project was subsequently placed on standby until his return to the firm some years later. Fast forward to 2015. To commemorate its 20th anniversary, Manufacture Roger Dubuis pays tribute to ancient watchmaking skills by re-launching this restoration project incorporating the remaining movement blanks gifted by its founder and ‘soulmaker’ as a series of privileged one-of-akind creations entirely dedicated to the Hommage collection and picking up its distinctive signature codes. Exclusively available in Roger Dubuis boutiques and launched to salute the opening of a flagship store, one of these restoration Millésime models will be produced per year and will thus become an annual highlight eagerly awaited by connoisseurs and collectors. The common theme running through these exceptional restoration pieces is that all will bear the prized Poinçon de Genève and comprise a perpetual calendar, either on its own, or along with another of the other three major horological complications (minute repeater, tourbillon or chronograph). All are based on calibres gifted by Mr Roger Dubuis himself, and each will be restored using the most authentic artistic crafts and techniques. As in the case of restoring paintings that have been damaged, or which may call for reconstruction of missing elements, these are not new developments. Instead, they involve the restoration of ancient pieces through entirely artisanal means, in line with the original construction sometimes requiring the recreation of missing parts. Outstanding value is added through the upgrading of the pieces to meet the requirements of the Poinçon de Genève. In this instance, complying with the Poinçon de Genève 2.0, which applies to the entire timepiece and not merely the movement, means taking a 19th century calibre and having it certified according to 21st century criteria governing not only its technical performance, but also the entire fully assembled watch. Symbolically destined for the new Roger Dubuis Geneva boutique that will open in July 2015, the first Millésime based on this stock of movement blanks is the RD181 calibre, a late 19th/early 20th century ébauche hunted down by Mr Roger Dubuis himself from antique watchmaking and initially comprising a minute repeater, a perpetual calendar and a chronograph. Presented by the Maison in 2015 in honour of its founder, this 60 mm-diameter pocket watch is a cherished one-of-a-kind creation whose calibre is engraved with the signature of Mr Roger Dubuis. 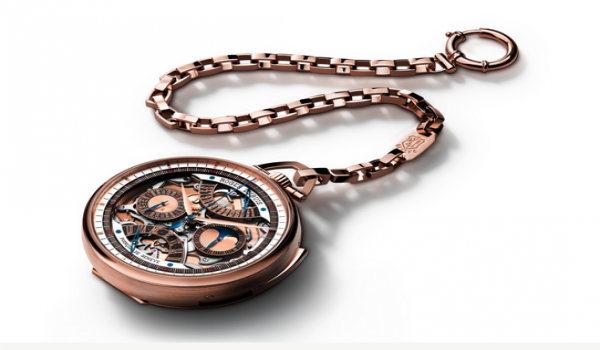 The owner will be able to personalise the pocket-watch chain by replacing various links with a series of 5N pink gold plaques that may be engraved with messages. An officer-type back cover is designed to bear a signature and personalised inscription at the client’s discretion. In the course of two full years of development, the RD181 model called for 1,950 hours of work including 700 hours of restoration on the calibre alone. During the restoration process, the perpetual calendar was modified to host two retrograde displays, thereby evoking the first perpetual calendar models developed and produced by the Manufacture Roger Dubuis. Countless separate operations, some involving specific decorations, were performed by specialists with an extensive understanding of all the requirements involved. The calibre, which beats at 18,000 vibrations per hour, had a damaged mainplate, crown and strike wheel, all requiring serious work involving disassembling, decoration and reassembly without damaging them. 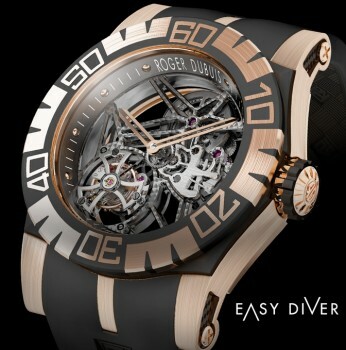 One of the parts was redesigned to form the lucky number 8 that appears in all Roger Dubuis limited editions. The round case of the RD181 case features a convex bezel and contrasting satin-brushed/polished finishes. The 5N pink gold-toned mainplate serving as the dial bears blued hands, guilloché counters, and a satin sunburst finish, with a sunburst guilloché motif on the perpetual calendar plate. Applying such finishes directly on the mainplate represents just part of the substantial aesthetic and technical challenges which the Manufacture Roger Dubuis is proud to be highlighting with this unique undertaking. Applied exclusively to the Hommage collection, Millésime is a demonstration of admiration for generations of watchmakers who have forged a proud tradition of mechanical horology, as well as paying tribute to the heritage of the company founder and instigator of the collection itself: Mr Roger Dubuis. As indeed the entire Hommage collection, it is dedicated to lovers of Haute Horlogerie, and fully meets the standards of the most prestigious precision objects. 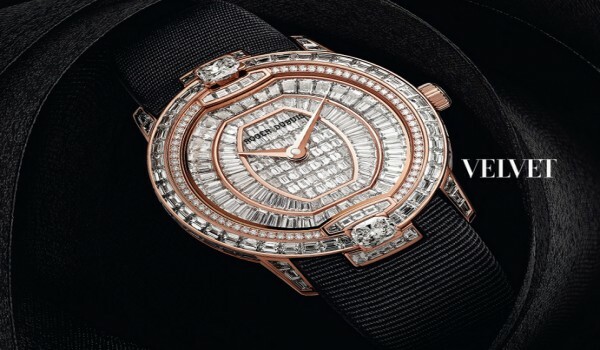 It highlights the traditional watchmaking arts such as guilloché work, embodying an audacious combination of traditional and modern craftsmanship. As with all Roger Dubuis timepieces, the entire calibre has earned Poinçon de Genève certification, with each of the components crafted according to the aesthetic criteria imposed by this prestigious body, a true benchmark of excellence. 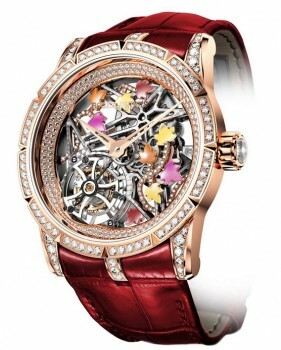 Twenty different professions with their own skill-sets were involved in the decoration and the timepiece was also tested according to the technical criteria of the new Poinçon de Genève, involving a simulation of wear on the wrist for a week, with a one-minute variation of precision. This is a true feat, since the test is even more demanding on an over century-old pocket watch. In founding the Manufacture Roger Dubuis, Mr Dubuis was determined to provide the ideal environment within which his passion could flourish. Driven by the desire to achieve great things, and never choosing the easy path, he imagined a Maison geared towards progress, innovation, technical performance and quality. Restoration and the Millésime concept are entirely in keeping with these enduring values.